Property investing really is a minefield. There’s so much more to flipping houses than buying cheap, renovating and selling for a profit. It can be unpredictable; the market has peaks and troughs, plus you never know quite what you’re going to uncover when you start ripping out walls and floors of properties. You have to be aware of things like ceiling prices, conveyancing, title deeds, mortgages and so much more. Before making your first purchase, it’s important to do your research so you can go in with your eyes open. You could read a real estate investing guide, speak to other investors and seek professional advice before jumping in. That way you have enough background knowledge to be able to make the best decisions and maximize your profits, and avoid these common mistakes newbie property investors tend to make. It’s easy to want to snap up a great house at the right price when one becomes available. However, it’s not just the house you need to think about but the entire area. The neighborhood and nearby amenities are something that all buyers will be looking for. It’s not to say you can’t make money from a property in neighborhoods that aren’t as nice, but just be aware of this when you’re renovating. It’s pointless creating a luxury home if the neighborhood doesn’t match up. You could renovate a property beautifully, but if there’s no outdoor space or very small gardens you could have difficulty selling it on. If you’re renovating a family home especially this is something to be aware of. Especially if you plan on extending the original property when you’re making changes, as building outwards is going to cut into the outdoor space available. Some houses might look incredibly dated and in bad condition at a glance. However skimming the walls and ceilings, repainting and replacing the bathroom and kitchen might be all that needs to be done. However other houses will require far more work. You might need to relocate bathrooms, move walls, repair structural damage and get rid of pests. If the electricity and plumbing are also bad, having these redone bumps up the cost massively. You need enough knowledge to know how much these repairs are likely to be, and how much value they’re likely to add to work out your profits. 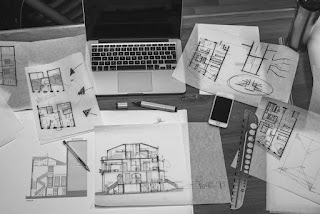 People who are new to the business of flipping houses often get bogged down with certain details because it’s what they would want in a home. They might overspend in some areas to make the property look like they would want it, or focus on elements that they would personally enjoy. It’s important to remember that if you’re buying a home to sell on, it’s not you who’s going to be living there, so it needs to be approached in a different way. Things like tiles and decor should be very neutral as these will appeal to the most number of buyers even if it’s not your personal style. You need to do your research and find out what buyers in this area of this kind of property want in a home. A utility room might be a must for you, but a busy family might prefer the extra kitchen space or a downstairs bathroom instead. When people are looking for properties to buy, they will want to picture themselves living there. Adding a few finishing touches can allow them to do that. You don’t want to go too crazy with personal items, but a few finishes here and there make all the difference. If you sell a lot of properties, you could even invest in a box of props for viewings that you can take with you and display when your next project is finished. A rug, some plants, a piece of art, a clock. The presentation is so important, you’re not just selling people a home, but a lifestyle. Property investing is seriously not for the faint of heart. I was curious about it a few years ago, but after reading some books about all it entails, I put the idea in the "too much work" bin. Instead, I get my real estate fix by buying REITs: Real Estate Investment Trusts. It's like owning real estate, but without getting drywall dust on your clothes, and the risk is a little more diffused. Great post! There are so many things to consider, buying a house can be stressful, but it's much better to get it right at the outset than to regret your decisions later. I wrote a little bit about my own experience buying a house here: https://www.enrichmentality.com/where-do-i-get-started-buying-a-house/ (there's also a free inspection template to download) Hope this is of help to some of your readers! Thanks for sharing Denny, and hope you have a great weekend!